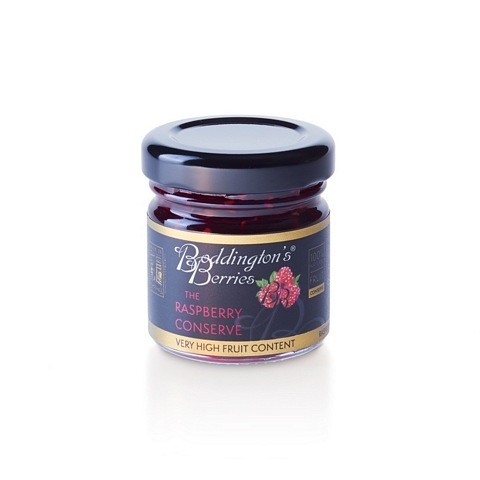 Please choose from our range of jar sizes below, or for more information about our Raspberry Conserve, please Click Here. Prepared with 65g fruit per 100g. Total sugar content 64g per 100g. A retail box of 20 no. 28g plastic individual potions of Raspberry Conserve. 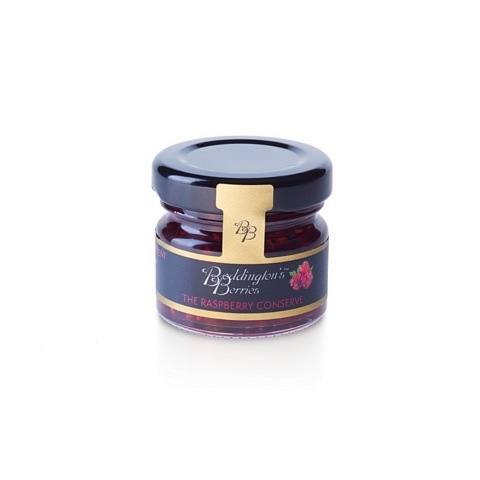 Beautifully fresh tasting raspberry conserve (extra jam), with a high fruit content and produced from whole fruits, using an old fashioned recipe with sugar and lemon juice. A retail box of 80 no. 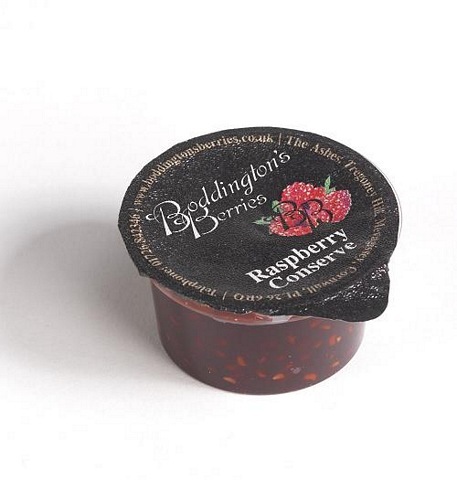 28g plastic individual potions of Raspberry Conserve. Raspberry Conserve contained in a 28g glass jar. A retail box of 50 no. 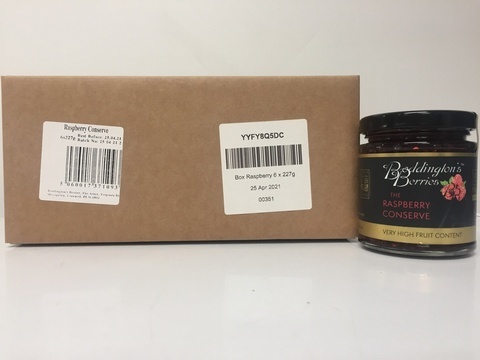 28g glass jars of Raspberry Conserve. 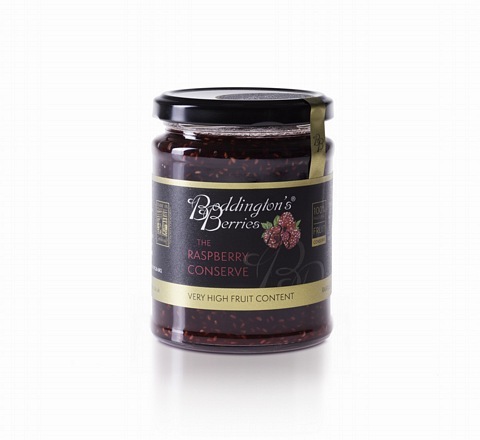 Raspberry Conserve contained in a 48g glass jar. A retail box of 50 no. 48g glass jars of Raspberry Conserve. 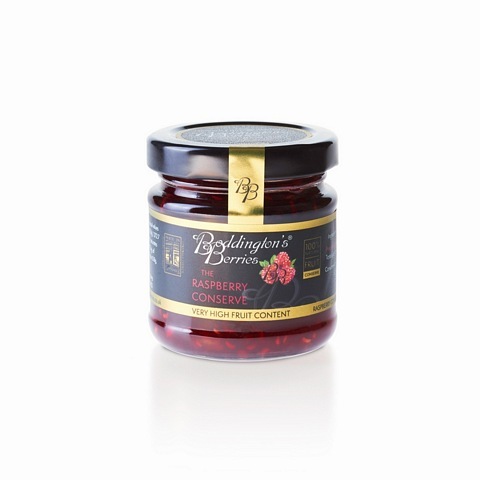 Raspberry Conserve contained in a 113g glass jar. 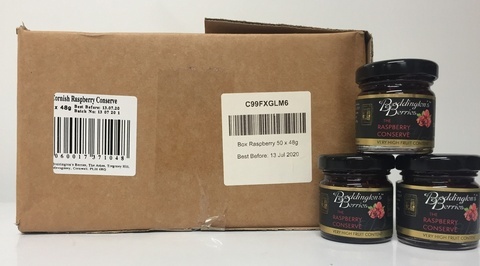 Raspberry Conserve contained in a 227g glass jar. A retail box of 12 no. 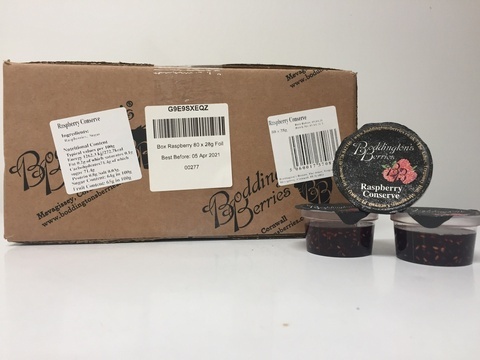 113g glass jars of Raspberry Conserve. 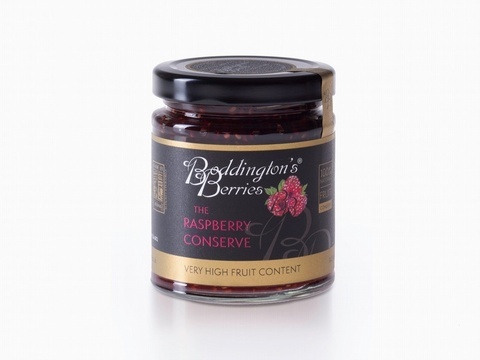 Raspberry Conserve contained in a 340g glass jar. A retail box of 9 no. 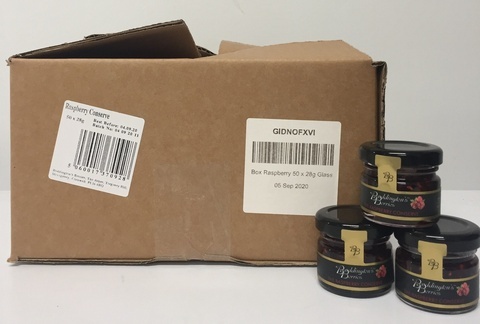 340g glass jars of Raspberry Conserve. 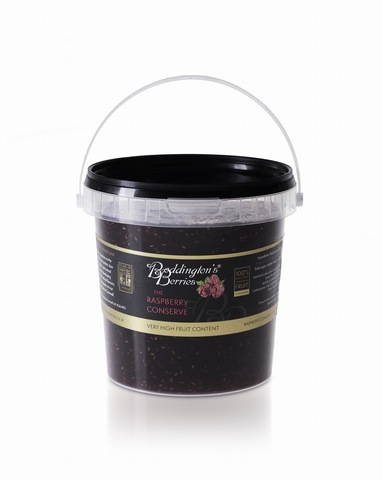 Raspberry Conserve contained in a 1.3kg plastic catering pail. 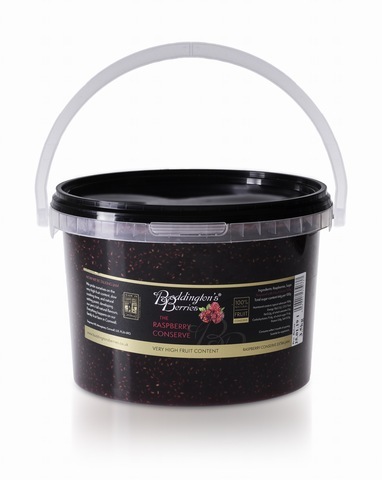 Raspberry Conserve contained in a 3.5kg catering pail.